Need to stack a board on the Raspberry Pi? 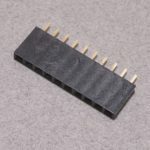 This header is compatible with all 40 pin GPIO headers found on the Raspberry Pi A+, Pi B+, Pi 2, Pi 3B, Pi 3A+, Pi 3B+, and all versions of the Raspberry Pi Zero. The header creates a between board height of 7/16″ on the Pi and has extra tall pins allowing for additional boards to be stacked on top. 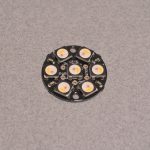 Two of our 1/2″ nylon standoffs are a close fit with this header and create a rigid platform for your next Pi based electronic project! Compatible with Raspberry Pi A+, B+, and 2B. SKU: ACC-023. 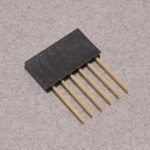 Categories: GPIO Headers and Breakouts, Breadboard Pitch Female Headers. 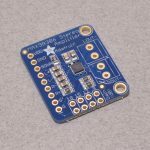 Tags: Adafruit, Connector, Header, Light Packet, Raspberry Pi.